Independence 5K Run/Walk aims to promote increased use and access of the City's parks and trails. The Run/Walk will take place at Waterfall Park, south of Bass Pro Shop. We hope families will enjoy the event and want to spend more time visiting the many parks and trails Independence has to offer! 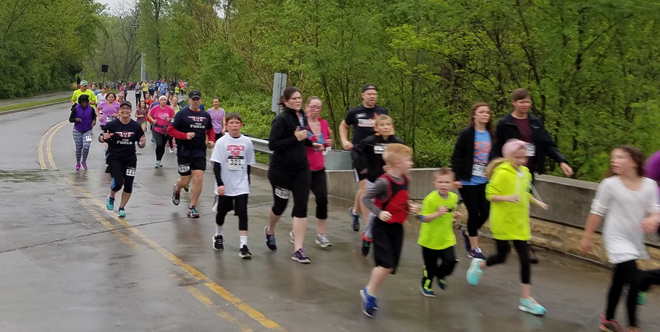 Race begins promptly at 8 a.m.
Bib pick-up will be available on Friday, April 26th from 3 p.m.-7 p.m. at Bass Pro Shop located at 18001 Bass Pro Drive in Independence or on Saturday, April 27th from 7 a.m.-7:40 a.m. near the Mardel Parking lot on Bass Pro Drive. Children 10 and under are eligible to compete in a Kids' Dash, which will begin after the completion of the 5K Run/Walk. 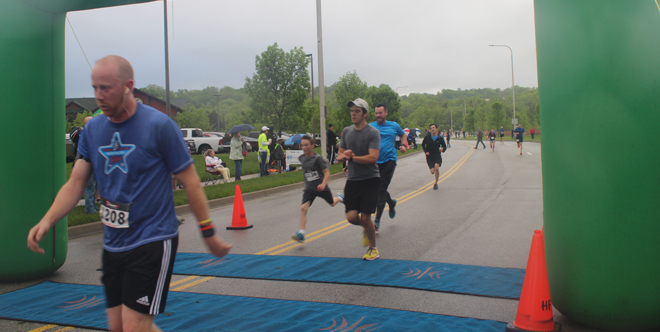 Directions to 5K Run/Walk site: From I-70, take the M-291/I-470 exit headed south. Stay in the right lane and take the first exit onto US 40 Hwy. Take a right on US 40 Hwy and head west. Take the first right onto Bass Pro Drive. Take Bass Pro Drive north to the event parking lots located at Bass Pro. ROUTE The race start/finish location is between Mardel's and Bass Pro Shop. View course map of the run. The Run/Walk will be 3.1 miles in length and is a certified distance course. Chip timing will be utilized during the event and results will be posted on the website soon after the race. Results will also be available at the Run/Walk. You must register by April 14th in order to be chip timed. Parking will be available at Bass Pro Shops. You must enter the parking areas off the 40 Hwy entrance near Cheddars. Arrive early to secure a parking space. You will not be able to use the Lee's Summit Road entrance to the parking areas as it will be blocked off. View map of the available parking areas. This is a free 5K Run/Walk event. The event will take place rain or shine. Please dress appropriately. Strollers are welcomed, we just ask that those using strollers start behind those wanting to run the course. The online store is now closed. Registration must be completed for each person participating in the event. You must register by April 14th in order to be chip timed. Please select the event(s) you would like to register for. Select all that apply. By checking the box below, you certify that you are at least 18 years of age, or the parent/legal guardian of the registrant. As an entrant in the Independence Park Trot, I assume complete responsibility for injury to me or damage to property which may occur during the event or while I am on the streets, sidewalks, trails, park grounds and parking lots of the event. I hereby release and hold harmless the City of Independence, KC Running Company, volunteers, sponsors and all other persons or groups associated with the event from any and all liability associated with this event or otherwise. I grant permission for any and all of the forgoing to use any photographs, videotapes or recordings or any other record of this event for any purpose whatsoever. I would like to be added to the Building a Healthier Independence e-mail list. 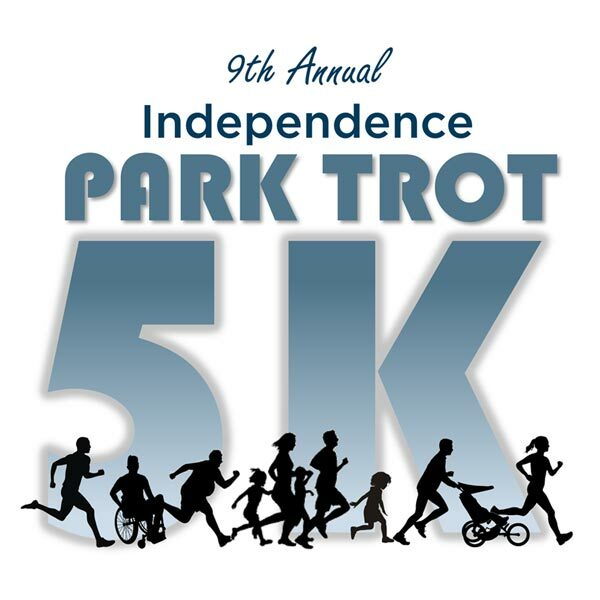 How did you hear about the Independence Park Trot 5K? Is the race registrant an employee of one of the following cities? Is the race registrant a child in a running club for the Independence School District? If so, which school? 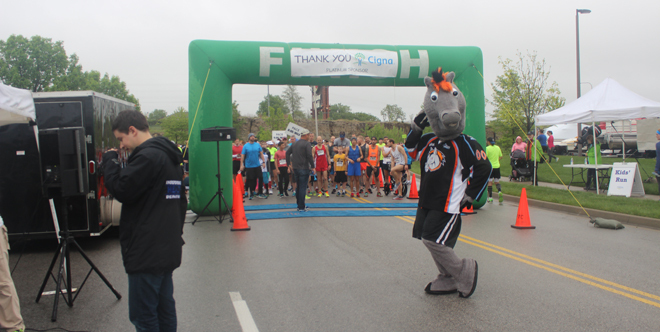 If you have questions or concerns about the Park Trot 5K or the Couch to 5K, please contact Selena Good at SGood@indepmo.org or 816-325-7187. We are in need of volunteers! If you are interested in assisting with packet pick-up, race registration and course monitoring, please sign up online or contact Mary Ripley at the City of Independence at mripley@indepmo.org. Please provide your name, age, email, phone number and desired volunteer position if you are interested in becoming a volunteer. All volunteers will receive a free t-shirt!